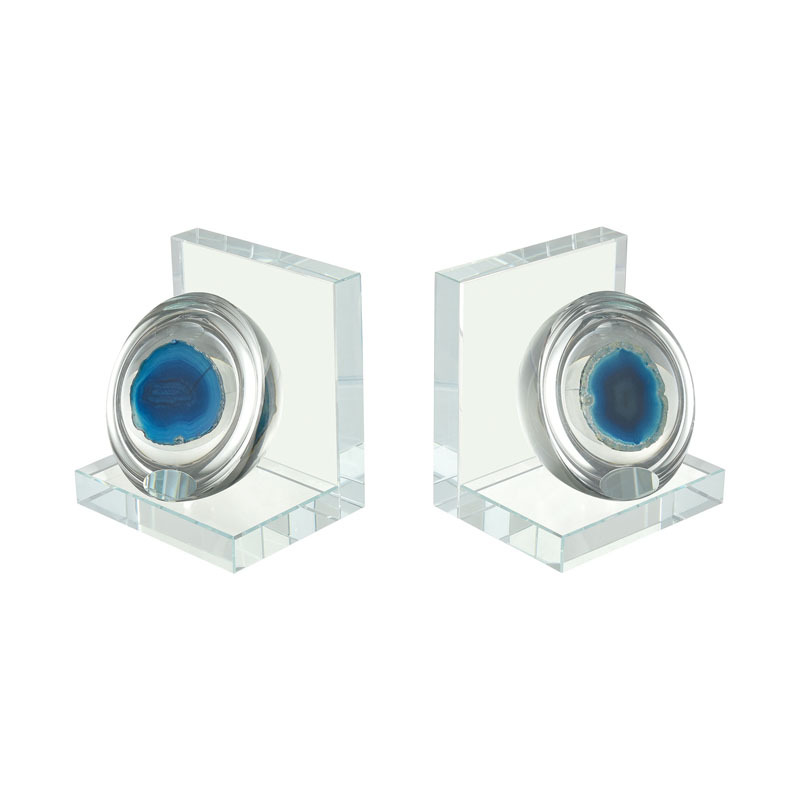 The Elysium Bookends showcase gorgeous arias of polished Blue agate surrounded by softly rippling crystal, like a pair of pristine Caribbean atolls in a sparkling clear sea. Exquisite mineral banding reveals discrete depths of bright cerulean, soothing azure and deep marine. Beautifully handcrafted. Set of 2.